Product #1808 | SKU 361 | 0.0 (no ratings yet) Thanks for your rating! The Manfrotto 361 Shoulder Brace for Monopods is a bracket that fits against the shoulder to provide extra support and greater stability to a monopod. 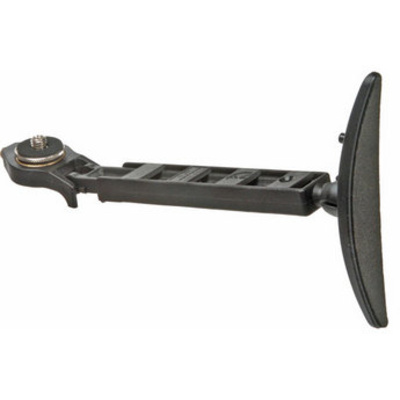 One end connects to the top of the monopod via the monopod's 3/8" screw, and the other end features a curved shoulder support, with an adjustable pivoting arm in between.